Hey everyone, I’ve changed the name of my blog name if you haven’t already noticed. I have been wanting to change it for such a long time and now I think its finally going to stick, not quite decided on the layout of my blog yet but stick with me, my mind changes so much. Anyway ‘Wolf in a Lamb’s Clothing’, basically it defines my style, I know its originally ‘Sheep’ but lamb’s are much cuter right? Well it represents my style, sometimes sweet and innocent and other times it can be dark, I like the kind of oxymoron vibes to it, what do you guys think? This outfit was taken about 9.30am in the morning, the earliest I have ever taken blog photos I think. 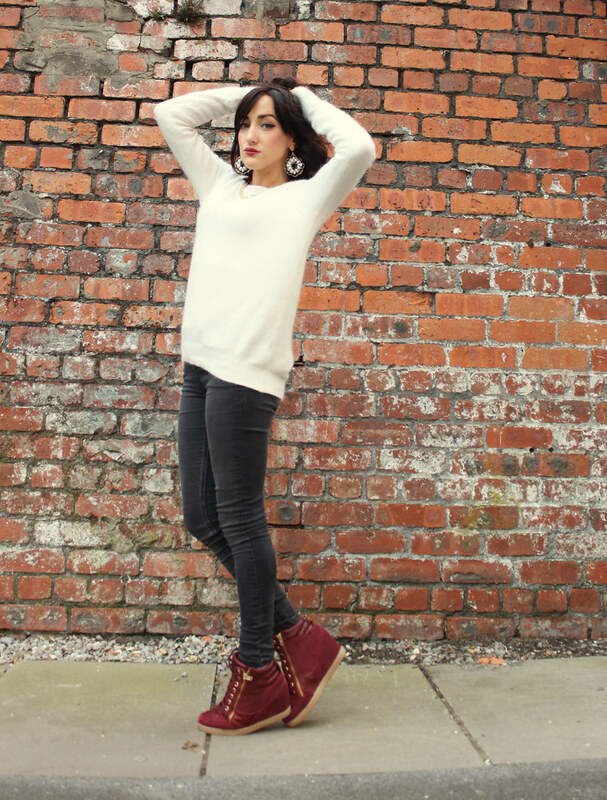 I wore this to University on the first day, it was so cold in the morning, so layered up with a Hoodie and a Fluffy Jumper and by afternoon I was so hot. 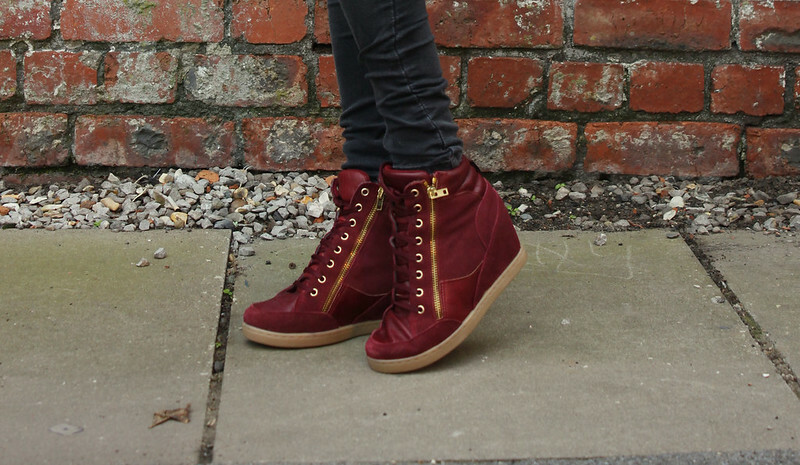 I got the Burgundy Hi Tops with my birthday money from River Island for £50 but I think thats kind of expensive, but they are good quality I hope they last. I’ve noticed that Burgundy, Dark Reds and Maroons are in trend for the fall, its definetly a very flattering colour for everyone. 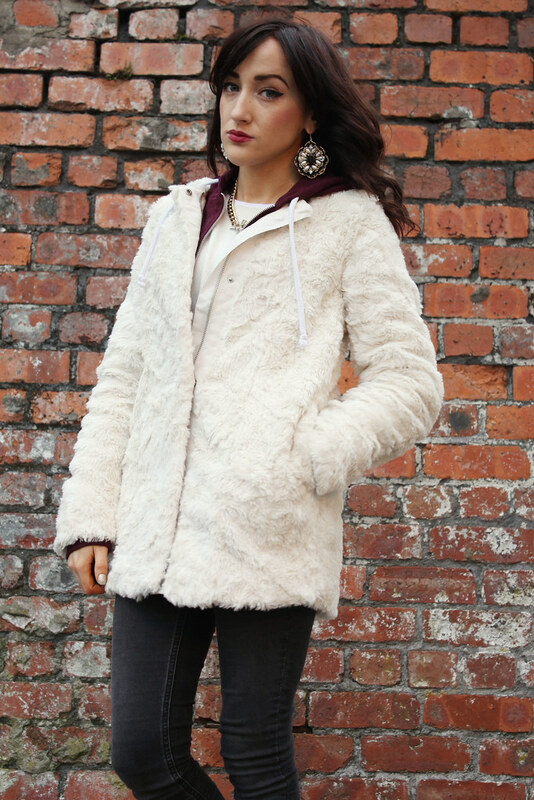 I was very lucky to be gifted with this Fluffy Lamb jacket from a special guy, it makes me so happy. I always seem to get out my Baroque jewellery for Fall, at the moment I am on the hunt for Royal type jewellery like the D&G collection. They always seem to set the trend for beautiful earrings and necklaces, but the high street shops are really bad at stocking anything similar. I am starting to build up the confidence to take photos in public now woo, I just laugh with the people who are staring at me, the secret is to not look so serious.